How long does conveyancing take when buying a house? What is the completion statement? Conveyancing is the legal process of transferring ownership of a property from one person to another. It is usually carried out by a solicitor or licensed conveyancer. When buying a property, your conveyancer’s role is to secure title, together with all the rights of the land, and make sure you’re aware of any restrictions before you become legally committed to the purchase. Expect conveyancing fees for a standard freehold purchase to total up at approx. £700 – £1,500 (this does not include any stamp duty land tax liability). For a relatively straightforward purchase (with a short chain), expect the conveyancing process (from ‘offer acceptance’ to ‘completion’) to take approximately 8 – 12 weeks. Make enquiries about new mortgages, obtain quotes and application forms (if no broker involved). Don’t feel you have to use the conveyancer recommended by the estate agent or your mortgage lender. These recommendations are often (but not always) based on who pays them the highest referral fee, not who provides their clients’ with the best service. Choose a conveyancing firm that offers a ‘no completion, no fee‘ guarantee so you don’t have to pay your conveyancer’s basic fee if your transaction fails to complete. Take out a cheap homebuyers insurance policy for less than £40 so you can also claim back on any lost survey & search fees (which can be in excess of £1,000). Telling a solicitor or licensed conveyancer that you want them to do your conveyancing is called ‘instructing’. To avoid unnecessary delays & reduce your chances of being gazumped, it’s a good idea to find and instruct your conveyancer before you find a property to buy – That way you can provide your conveyancer’s details to the seller’s estate agent as soon as your offer is accepted and get the ball rolling. Your conveyancer will send you a ‘Letter of Engagement / Client Care Letter’ which outlines their fees, terms of business and confirms you have instructed them to act for you. Read all the paperwork that’s sent to you and ask any questions if you’re unsure about something. You will be asked to send proof of address and ID. You will be expected to provide around £300 on account so the solicitor has funds available to buy searches on your behalf. You will also need to provide proof that you have the funds to proceed with a purchase, in the form of bank statements and/or a mortgage offer in principle. Fill in, sign and return all requested documents as quickly as possible and follow up to make sure they have been received. Once an offer has been accepted you’re off to the races and the conveyancing process starts in earnest. Not all agents do this but its best practice for them to ask you to provide contact details for your conveyancer, proof of deposit and Agreement in Principle (AIP) for a mortgage. Ask for the property to be taken off the market and expect a decent estate agent to encourage their client to agree to this on the proviso that within 14 days you (the buyer) have show to be proactive (i.e. have instructed a conveyancer, booked a mortgage valuation survey &/or building survey etc.). Inform your conveyancer that your offer has been expected and confirm they receive a memorandum of sale (MOS) from the estate agent. Provide your conveyancer with a list, in writing, of any queries you have about the property you are buying, such as access issues, parking etc. Discuss a timeframe for the transaction with your conveyancer and agree a provisional completion date with the rest of the chain (other buyers/sellers). Your conveyancer will write to the seller’s conveyancer to request a copy of the draft contract and legal pack. They will also order property searches, which provide detailed information on planning, draining and environmental issues. Your conveyancer raises specific enquiries (questions) with sellers’ conveyancer following receipt of contract pack. Your conveyancer receives the search results; checks them, investigates any issues and asks additional enquires to sellers’ conveyancer if needed. You will need to finalise your mortgage and give the details to your legal company so they can check the offer terms and conditions and organise funds when required. Tip: Send a copy of your mortgage valuations &/or building survey to your conveyancer as it may provide them with more information to ask questions and make checks. Once all enquires are answered, searches reviewed and mortgage offer checked, your conveyancer will write to you to report on all matters. You will need to read everything they send you and ask questions if you have any worries or find things you want to check further. Tip: Make sure you read the ‘fixtures and fittings’ and ‘property information forms’ carefully to ensure they match what you’d agreed with the seller/agent, for example what appliances, carpets and curtains are being left behind. Tip: Check the type of ownership i.e. freehold or leasehold? Believe it or not, your solicitor / licensed conveyancer may not check this. If the lease has less than 80 years, it can be expensive to extend and you’ll have to own the property for at least 2 years before you can apply for a lease extension. When you and your conveyancer are satisfied with all the information provided by the seller, your conveyancer will send you the final contract and TR1 form to read and sign. Return these documents by registered, next day post or by hand to ensure they are received quickly. Always ask your conveyancer to confirm receipt of important documents. Before you can exchange, your conveyancer will need to hold your deposit as cleared funds. Deposits are traditionally 5-10% of the purchase price but if you’re part of a chain, the deposit from the buyer at the bottom of the chain may be ‘passed up‘ and utilised by all parties (even though it will be a lot less than 10% of the value of the property at the top of the chain). Conveyancers will negotiate a completion date and once agreed with all parties have this written into the contract. You must supply written confirmation of building insurance cover (for your new home) to you conveyancer before exchange of contracts can take place. Until the contracts are exchanged you or the seller may pull out of the deal at any time (and unless homebuyers insurance has been taken you will be left out of pocket to some degree). The formal exchange of contracts usually takes place via a recorded telephone call between the two legal representatives working for you and the seller. Exchange can only take place when everybody in the chain is ready to proceed. Your conveyancer will contact you to request your authorisation to exchange. The period between exchange and completion – usually two weeks (but often longer if there are many parties in the chain) – will be busy with preparations for moving house, including organising removals, packing and informing utility providers of the coming move. Your conveyancer will send you a completion statement, detailing the breakdown of all monies that need to be with your conveyancer in time to clear before completion. This will include the remainder of your conveyancer’s bill, Stamp Duty Land Tax, Land Registry fee, search fees and the balance owed for the property. You and your mortgage lender will usually transfer the rest of the funds to your conveyancer the day before completion, so that it can be sent to the seller first thing in the morning on completion day. You will need to sign a document called the ‘mortgage deed‘ so your mortgage money can be handed over in readiness for legal completion of the transaction. Your conveyancer orders and reviews pre-completion searches to make sure nothing material has changed since exchange of contracts that could affect ownership of the property. ‘Completion’ – The point at which the ownership of the property changes hands and it’s ‘moving day’. The sellers must leave the property completely empty and the buyer can move in. On this day, the seller’s conveyancer must hold a Transfer document (TR1) signed by the seller. This document will be exchanged for the balance of the purchase price, which your conveyancer will send, by bank transfer. Once received, the seller’s conveyancer will telephone the estate agent to authorise release of the keys. When you receive the keys to your property will depend where you fall within the chain. It is normal for all buyers to be allowed access from 1pm on completion day. Once you are in possession of the key you can move into your new home. Take meter readings so you can make sure you’re not paying for gas and electricity you haven’t used. Do this in your old property and the new one as soon as you get the keys. After the property becomes yours, things are still happening! Your conveyancer should pay the stamp duty and file the return with Inland Revenue. They should also register you as the new owner with the Land Registry by sending your TR1 & mortgage deed. Get confirmation of this! You will receive the official documents showing you own the property called ‘title deeds’ around 20 days after completion. Your conveyancer will also send a copy of these to your lender for their records, so they can keep them until you pay your mortgage off. If it’s leasehold, your conveyancer will let the freeholder know you now own the leasehold. If you are purchasing as Tenants in Common (where you each own a specific share of the property), your solicitor or conveyancer will register the Declaration of Trust. Council Tax, utilities and services need to be registered in your name. Instruct a conveyance as soon as you get serious about house hunting – don’t wait until after your offer has been accepted. You do not want to be the one holding up a chain and you don’t want to get gazumped because a rival buyer has been more proactive than you. Look for a conveyancer that offers ‘no completion / no legal fees’ – this will minimise abortive costs should your purchase fail for any reason. Take out home-buyers insurance to cover your loses for disbursements and surveys (it’s cheap and you have a 1 in 3 chance of having to make a claim). Discuss timescales with your conveyance at the outset. If you don’t understand something – do not be afraid to ask. Find out if your conveyancer will be taking a holiday during your transaction, and if so, ask who will take over the file in their absence. Try not to go on holiday yourself but if you do have one planned, give these dates and your contact details to your conveyancer. Try to ask specific questions when you call your conveyancer – asking for ‘an update‘ often just results in a general response. The most effective person to press to achieve an exchange of contracts is the conveyancer at the start of the chain. Make sure you have supplied your conveyancer with the signed Transfer document (TR1) well in advance of completion. Completion cannot take place without it. The estate agent is not in control of the speed of completion and will only release the keys when the solicitor gives authority to so – the keys will not be releases any quicker by putting pressure on the agent. Avoid the busiest days for completion. The business days being; Fridays, final working day of the month, final working day before a bank holiday and final working day before a school half term. Fill in any documents and make payments as soon as you’re asked to by your conveyancer. Sign, scan and email documents as well as then posting hard copies – I use the very simply & cheap Scanner Pro App for iPhone or Android. Have your lender transfer money to your conveyancer the day before completion to make sure it goes through in time. Call your conveyancer before and on completion day to make sure you are updated on what’s going on. Keep a written record of all communications and keep all documentation in a dedicated folder. Ask your solicitor / licensed conveyancer to copy you into all emails they’re sending. This lets you see where things are at and reassures you things are being done. Research surveyors and have one ready to go as soon as your offer is accepted. Tell your lender the deadlines you are working to for buying the house. This will let your lender plan and make sure your mortgage is given on time. Have your deposit money and mortgage offer ready as early as you can. If you’re getting the money for your deposit from someone else, let your lender and solicitor / licensed conveyancer know. Make sure the person you’re getting the money from is around to sign any forms and prove their identity. 1. Get a mortgage offer in principle. 2. Purchase homebuyer’s insurance policy to protect against financial loses. 3. Choose ‘no move / no legal fee’ conveyancing firm and contact them. 4.i. Confirms instruction with Letter of engagement & copy of terms of business. 4.ii. Requests your ID and proof of funds. 5.i. Check terms of business. 5.ii. Sign and return engagement letter along with proof of ID & address (passport & utility bill). 5.iii. Send ‘money on account’ for the purchase of searches (approx. £300). 5.iv. Provide proof of funds in the form of bank statements or in principle mortgage offer. 6. Inform conveyancer and check they receive ‘Memorandum of Sale’ (MOS) from estate agent. 7. Discuss a timeframe for the transaction with your conveyance and identify realistic completion date. 8.i. Receives contract pack from the seller’s solicitor/ licensed conveyancer. 8.ii. Raises specific enquiries with seller’s conveyancer following receipt of contract pack. 9.ii. Receives search results; checks them, investigates any issues & raises enquires. 10. Receives mortgage offer, checks condition and satisfies where necessary. 11. Get your mortgage offer approved by the lender. 12. Organise a mortgage valuation and survey and send to your conveyancer when completed. 13. Start shopping for buildings insurance for the new property. 14. Receives satisfactory answers to all enquiries raised and checks made. 15. Review surveys and renegotiate purchase price if necessary. 16. Sends you conveyancing report summarising key findings and any concerns. 17. Review conveyancing report, ask questions and check contents of Fixtures & fitting form match your expectations. 18(b). Provide input on the completion date negotiation. 18(a). Negotiate completion date with seller’s conveyancer and write date into the contact. 19. Send you final agreed contact, transfer of title document (TR1) and draft completion statement. 20. Check, sign & return contract and TR1 form (needs to be witnessed). 21. Send agreed deposit to your conveyance - has to be cleared by the bank before exchange can happen. 22. Supply written confirmation of Buildings Insurance cover for the new property to your conveyancer. 23. Contacts seller’s solicitor to formally exchange contracts. 24.i. Arrange a removals service. 24.ii. Contact utility providers to arrange connection and local authority re council tax. 24.iii. Notify people of change of address. 25. Carries out pre-completion checks. 26. Request mortgage monies from your lender to arrive day before completion. 27. Issues you with final completion statement. 28. Send any final balance in time to be cleared and in your conveyancer’s account before completion. 29. Sign and send your mortgage deed to your conveyancer. 30. Sends purchase monies by telegraphic transfer to seller’s conveyance. In return the seller’s conveyance sends the transfer document and title deeds. 31. Once monies confirmed as received by seller’s conveyance, your conveyance will check with the estate agent if they have authority to release the keys to you. 32.Collect the keys from your estate agent, move in to your new property and change the locks. 33. Send Stamp Duty Land Tax return to Inland Revenue along with payment. 34. Receive receipt in the form of a certificate from Inland Revenue. H M Land Registry for registration. 36. Receive your new title deeds from H M Land Registry and forward copies to you and your lender. 37. Keep a file of all the paperwork on the purchased property for next time you come to sell. Have easy access to warranties, guarantees, and if you are letting, things like the EPC. 8-12 weeks is the average but it can take much longer. The proactivity of all parties in the chain (i.e. buyers, sellers, surveyors, conveyancers, estate agents, local authorities & mortgage lenders). In a short chain of 3 that could easily equal 16 different parties. How quickly you send money and paperwork to your conveyancer. How long the chain is. 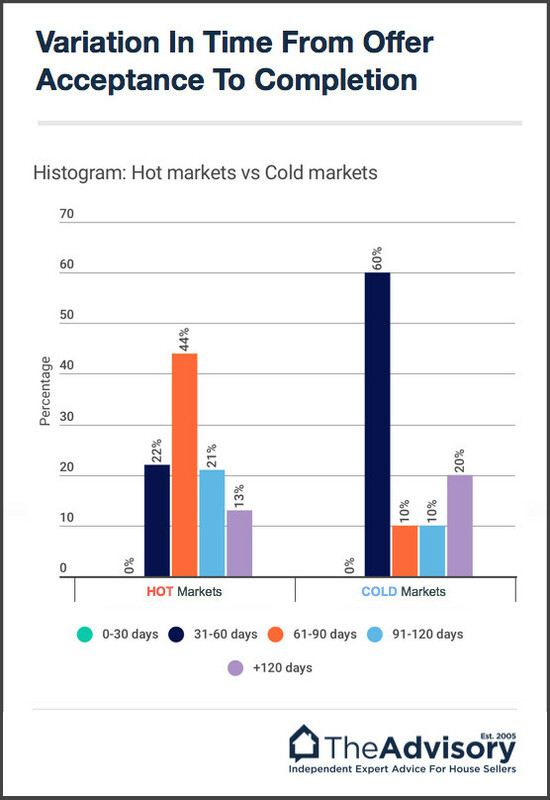 Typically, the more sellers and buyers in a chain, the longer it takes. How quickly surveys and mortgage valuations can be carried out, in some areas it may take weeks or even months to secure a valuation. People’s holidays! These can lengthen chains by weeks and even months if they don’t give the legal company the approval to progress things in their absence. The fastest chains tend to be just a buyer and a seller, especially if it is a cash purchase. Lenders now have to jump through so many hoops when lending, the mortgage process is now taking weeks and even months. During this time, things can change, such as jobs or people’s credit ratings and in these cases, the mortgage application can fall through and delay everything. This should typically happen within 24 hours. However, some legal companies don’t have the capacity to deal with new instructions on the day they arrive. These are dependent on the speed you provide the legal company with the details. They have to have them on file before they can process any of the legal paperwork. These can be secured typically within a few days, but the timing very much depends on the local authority’s ability to deliver the information required. Some are very quick and helpful during the conveyancing process while others can take 6-8 weeks or more and seem to take little responsibility for the fact they are affecting people’s lives. Typically a survey will take a couple of weeks to organise and for the report, including a valuation if you ordered one. This should be passed to your legal company straightaway. The mortgage offer timings partly depend on what work you did beforehand to secure one. If you had a mortgage agreement in principle (AIP) or have a mortgage broker you work with regularly, then it might only take a few weeks. If you are starting from scratch, it may take 6-8 weeks or even longer, especially if a complex purchase. This depends on how well organised the seller is. If well prepared, the contract could be ready within a matter of days or a week of making an offer. Unfortunately, most sellers don’t instruct a conveyancer until an offer has been received. Starting from scratch, it can easily take 2-4 weeks to secure the contract. In theory exchange and completion can be done on the same day, but only really if a cash purchase or specialist funding is secured. For most it is two weeks, but if you are trading down having lived in a property for many years, then do make sure you give yourself enough time to get rid of what you can’t or don’t want to take with you. This might mean you need four weeks instead of two. It is also worth contacting local removal companies to find out what notice they need to move. Ideally do this prior to exchanging. If the timing of the company you want to use is four weeks, then that’s what you need to secure between exchange and completion. Documents that prove the seller is the current owner of the property (named on the title) and has the right to sell it. Used when a property is not on the national property register (Land Registry – England & Wales or Registers of Scotland – Scotland). Can include details of rights given to the seller (easements) when the property is linked to another property or is on land owned by someone else. Rare to come across as all properties now need to be registered – a property can only be found to be unregistered when it’s sold. Used to transfer the ownership of the property from the seller to you. These are filled out by your Solicitor / Licensed Conveyancer and sent to the national property register. There are different levels of ownership – you can own all of the property or a part of it – and there will be different forms for each level of ownership. Different forms are also used if the property belongs to someone who’s died or if ownership of more than one property is being transferred. For paying Stamp Duty Land Tax (SDLT) in England and Wales or the Land & Buildings Transaction Tax (LBTT) in Scotland. Filled out and submitted by your Solicitor / Licensed Conveyancer and sent to; HM Revenue & Customs (HMRC) for England and Wales / Revenue Scotland for Scotland. Done online or by post. Other than the contract itself, this pack will also contain forms filled out by the seller and their conveyancer. Your conveyancer will look through these and send you a report on their contents. If there are issues, your conveyancer will give advice on what you should (or can) do and will ask the seller’s conveyancer questions if needed (replies to requisitions). Used for leasehold properties only. Details which fixtures / fittings and contents the seller is including in the purchase price. Six-page form detailing such things as whether supplies (gas, electricity, water) are yet connected to the building and, if not, when they will be. Includes details of the boiler and heating system and whether they are yet fully operational, as well as guarantees and, if applicable, leasehold information. Your solicitor will receive it as part of the seller’s Leasehold Information Pack. This is a form the seller requests their landlord or managing agent to complete. Make sure you keep all the documents you get when buying a property, safely in one place. You will need all of these if you sell it. If you think you need or haven’t received any documents, speak to your Solicitor/Licensed Conveyancer. Scan all the documents and save them digitally in case the paper originals become damaged. I use the very simply & cheap Scanner Pro App for iPhone or Android. Store all paper documents in a sturdy file with plastic folders so they are protected. Keep all documents in a safely locked storage system as you don’t want them to get into the wrong hands. This is basically ‘the bill’ for your property purchase. It’s a document given to you by your Solicitor / Licensed Conveyancer, which details all the payments you’ve made (and need to pay) to them throughout your transaction. A draft completion statement is sent to you upon your conveyancer’s receipt of your mortgage offer or if buying with cash, before exchange of contracts when requesting deposit monies. A further second draft is sent between exchange and completion and a final is sent on completion. Everything in the completion statement has to be paid and cleared with the bank before the completion deadline in order for your purchase to go through. What’s in the completion statement? To be paid by you on instruction. These are fees paid for important checks to be done on the property and the land it’s on. Also include certain insurances where needed and cost for Land Registry to give you a plan of the property so you can see where your property finishes and others start. To be paid by you before completion. Your Solicitor/Licensed Conveyancer then has 30 days after completion to pay it. Use the GOV.UK SDLT calculator to check the amount. Your Solicitor/Licensed Conveyancer then pays Land Registry (England & Wales) or Registers of Scotland (Scotland) post completion. This is money given to H M Land Registry to change the ownership of the property. The fee you pay depends how much you paid for the property. This is the amount you are paying for the property. If you are taking a mortgage, your lender will supply monies and if you don’t need a mortgage, this will be paid by you. The deposit will be taken out of this and paid on exchange of contracts, then the rest is paid on completion. This is money you have agreed to pay for any extra fixtures/fittings being left by the seller, like appliances. This is the amount you pay to use the services of a Solicitor / Licensed conveyancer (this is separate to the disbursements which are payments to 3rd parties such as environmental searches etc.). This is the cost per person to have your identity (or other owners/buyers of the property) checked by your conveyancer – needed to comply with Anti Money Laundering Regulations. This is money to pay for a last minute check / search that you have not been declared bankrupt and also to ensure that nothing has happened since exchange that could affect ownership of the property. This is a fee for a service which checks the bank account details of the seller’s Solicitor/Licensed Conveyancer to make sure it’s not a fraudulent account. This isn’t always done, but it is advised to use. This is money you need to give back to the seller if they have pre-paid this. This will only be for during the time you have owned the property. This is money you need to pay only for during the time you have owned the property. Your Solicitor/Licensed Conveyancer then pays post-completion. This is money paid to the person who owns the property freehold (landlord) to register you as new owner of the leasehold. Your conveyancer then pays post-completion. This is money to be paid for new build properties so the landlord can issue a new lease to you. If you receive a gift of money to help you with the deposit, you must tell your mortgage lender and the will want evidence that it is a gift, rather than a loan, and will want to trace it back to the original bank account, to stay in line with money laundering regulations. Tip: Make sure the person you are getting the money from is available to give their signature to the lender, confirming they don’t need the money to be paid back to them. Tip: Let your lender and Solicitor/Licensed Conveyancer know your deposit has been gifted as soon as you can. You cannot receive a firm mortgage offer until you have made an offer on a property, and this can take several weeks in some cases. Tip: Make sure you keep all important documents like bills, bank statements, pay slips and tax returns for at least the 3 consecutive months in the run up to applying for your mortgage, as your lender will need all of these. Tip: Use a whole of market independent financial advisor or mortgage broker. Your lender will send a surveyor to access the property and decide how much they think it is worth (a valuation). If your lender finds the property is worth less than what you are being expected to pay, they may lower your mortgage offer. Tip: If the property is down valued, first step is to try and renegotiate the price with the seller. If the seller won’t budge and you still want to buy, you can borrow the rest of the money from another lender. Alternatively, shop around for another lender who will lend you more or gives a higher valuation. Your lender may also want to organise a structural survey – when someone comes to check the state of the property. Tip: Try to have surveys done as soon as your offer is accepted. Most mortgage offers last 3-6 months, after this time, you will need to apply for another mortgage. Tip: Check how long your offer will last for. Tip: Ask your lender for an extension on the offer time if you need to. Unfortunately, not all lenders are sharp when it comes to progressing the paperwork involved in issuing a mortgage. This can slow you down so get a good broker because they will keep the pressure on your lender – This can often mean they secure the property for you when otherwise you might have lost it due to delays. Tip: Don’t be the cause of delays yourself – Make sure all forms are filled in correctly and have someone check over common mistakes with; National Insurance Number, Financial background details (i.e. Credit Report Information, money in/money out), Income & References (people who confirm you can pay off the mortgage). Since the Mortgage Market Reviews in 2014, more stringent affordability tests take longer to perform. You need to provide more supporting documents and greater detail about your spending patterns – they’re more of a faff basically. Don’t expect all lenders to agree on what you can afford to borrow. It’s also worth noting that if your circumstances change between the original interview and purchase, you should inform your lender as it may affect your offer. If you are buying more investment property and building a portfolio you may have to provide a business plan. Tip: Budget your spending for as long as you can before getting a mortgage to make sure you know where your money is going. Tip: Keep clear records of what you are spending your money on or keep your bank statements and make sure you know what each payment is for. In some cases, the lender may wish to withhold funds until you have had a certain problem fixed with the property – eg. damp or rewiring. You can try to renegotiate the purchase price with the vendor, or your lender may be willing to release the funds if you can prove you have the work booked with a reputable tradesperson. If not, and you still wish to proceed, you will need to find the money from elsewhere. Whichever route you take, it will take time to organise and delay proceedings. It’s based on the agreed purchase price and your conveyancer will itemise your SDLT liability in your completion statement. You must pay stamp duty to HMRC within 30 days of the completion of your purchase or risk being fined. SDLT is charged incrementally in bands, in the same way as income tax. Although up to December 2014, first-time buyers were exempt for a short period of time, they are no longer exempt from stamp duty and pay the same as everyone else on properties over £125,000. In April 2016, a stamp duty surcharge was introduced for buyers of second homes purchased for more than £40,000. This surcharge is charged at an extra 3% of the purchase price on top of the standard rate of tax. This extra stamp duty only applies to property in England, Wales and Northern Ireland. Buying a property to let out. Buying a property with one of your children, to help them on the ladder, even if you are only a part owner. Buying a property to move into, before you are able to sell your current home, even if you only own two homes temporarily. If you have to pay the additional stamp duty because you have not sold your old home before buying a new one, you can reclaim this extra payment if you sell your old home within three years (36 months). You (or an agent acting on your behalf, with your written permission) can apply for a refund by completing a form and submitting it to HMRC, online or by post. Alternatively, you can change the original stamp duty return. Tip: Refunds need to be claimed within 1 year of the filing date of the tax return or 3 months of the sale, whichever is latest. Tip: If you buy a number of properties within one building or on the same grounds, this is counted as one property. Tip: When the main property takes up 60% or more of the plot, even if there are other properties included, this will be counted as one property. Married couples are treated with a fairly heavy hand under the current rules so expect to pay the additional 3% surcharge on any additional property purchase. Even if only one of you owns a property, once married you’re treated as a single unit for SDLT purposes and further purchases. Check with the SDLT helpline to get clarity on your particular situation. Tip: if you are legally separated, any property they own will no longer be counted as yours, so you won’t have to pay extra stamp duty. A property can be taken out of an estate (all things you own including belongings, cash and houses) and put into what is called a ‘trust’ to help with taxes when you die. The person who owns a property can put it in trust and will have a person or group of people known as ‘trustees’ to manage the trust. It will be up to them to give it or the money it earns to the right people at the right time. Tip: Even if you don’t legally own the property, if you earn money from it or if money from the sale goes to you – this will be counted as your property, so be aware of this when buying or selling more property. Tip: if you will be inheriting certain types of trust from someone else, you will be counted as someone who is buying the property – so check with an Estate Planner to see what the rules are if you know you will be inheriting a trust. Tip: if you have a child who is under 18 years old who will be inheriting a trust, you will be treated as the person inheriting, until they are over 18. If you are buying a property, you will need to be aware of this as you may have to pay additional stamp duty as a result. 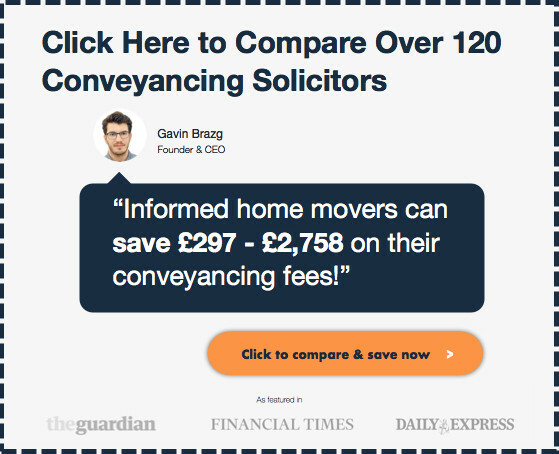 What is conveyancing & what does it mean? Conveyancing is the process of preparing documents to legally transfer ownership of a property. Property can either be a building (such as a house or office) or land. The change of ownership (or transfer) will always be from the seller(s) to the buyer(s). There can be a single seller and a single buyer, but there may also be more than one seller who owns the property and more than one buyer wanting to buy the property. Contracts list all the details about the property and need to be agreed by both the buyer(s) and seller(s). Title deeds show who owns the property, which will change after the details within the contracts have been agreed (known as exchanging contracts). What’s the difference between a solicitor and a licensed conveyancer? Regulated by the Solicitors Regulation Authority (SRA). Has a wide knowledge of different branches of the law but may specialise in conveyancing law. This is somebody who is qualified solely in conveyancing law. They may not practise other areas of the law. Although conveyancing is a legal process, you can DIY in some cases (although I don’t recommend it). If you don’t have a mortgage, you can do the conveyancing yourself, but the seller may have a Solicitor or Licensed Conveyancer who you will need to speak to (they are likely to be reluctant about this). If you have a mortgage, your lender will have a Solicitor or Licensed Conveyancer to act for them. They need a legal professional to make sure your mortgage is properly applied to the ownership of the property. You will be expected to pay these legal costs. If you choose to do the conveyancing yourself, you won’t have to pay for a Solicitor or Licensed Conveyancer’s time, but you will still have to pay for environmental and planning information on the property (known as searches or disbursements), property tax (stamp duty in England/Wales or land & building transaction tax in Scotland) if the property costs above a certain amount and to transfer the ownership into your name. Due to the principle of caveat emptor (‘buyer beware’) in England and Wales, if you miss something important, or discover a problem after purchase, you cannot claim against the seller. By carrying out the conveyancing yourself, you will not have the protection of the solicitor’s professional indemnity insurance as back up should something be missed such as a loan on the property or chancel responsibilities. Does my conveyancer have to be on my mortgage lender’s panel? No, but if they aren’t, things may take a lot longer. Your mortgage lender will always have a Solicitor or Licensed Conveyancer to act for them. They can use your Solicitor or Licensed Conveyancer, but only if they are on their list of approved law firms (known as a panel). If your Solicitor or Licensed Conveyancer is not on your lender’s panel, you can either choose one that is on the panel, or your lender will need to find a separate Solicitor or Licensed Conveyancer to only deal with applying the mortgage to the property. Do I have to pay any conveyancing fees upfront? When you instruct a solicitor or licensed conveyancer, you will be expected to send them some money on account so they can pay for things like planning & environmental searches on your behalf. Expect to be asked for £250- £300 for a standard purchase. This ‘search deposit’ will be deducted from your final bill and itemised in the completion statement. What do you do if you think you’ve been overcharged by your solicitor? Always speak to your Solicitor/Licensed Conveyancer first if you have a problem with anything. If you think you have been overcharged, ask to see a clear breakdown of charges and what everything is for. Note: conveyancing is expensive, overcharging is when what you have paid is more than what you were expecting. You should have been given a guide from your Solicitor/Licensed Conveyancer on how to put in a complaint – right at the start of the process. If you haven’t been given anything, ask to see a copy of their complaints procedures. Tip: you need to make sure you have followed your Solicitor’s/Licensed Conveyancer’s complaints procedure before taking things further. Conveyancer and/or followed their procedures won’t work, as you will be asked if you have done everything you can. If you aren’t happy with the response or if you think more needs to be done, you can contact the Legal Ombudsman (LeO). If the LeO says you’ve been overcharged, the fees you pay to your Solicitor/Licensed Conveyancer may be reduced. If the LeO finds you have lost out due to bad service, you may be given compensation. What to watch for when buying in joint ownership? You don’t have to buy a property by yourself. You can buy with someone from your family, a friend or a partner/spouse. Up to 4 people can own a property at the same time. The property will be owned by you and someone else. Anyone who owns the property is called a ‘joint tenant’ or ‘beneficial joint tenant’. The property can’t be sold or given to someone else without permission of all joint tenants. The property isn’t divided between you; it is kept as one whole property. If one of you dies, the ownership is given to the surviving joint tenants. Most couples, whether married or in a civil partnership, will purchase as joint owners. If one dies, the property’s ownership automatically passes to the other party. This is usually not a problem in a marriage or civil partnership, but can present issues if the property belongs to two friends or is an investment property, which may be left to children in the future. Equally, if one party wants to sell, both will have to agree before this can happen. Each person can own a part of the property’s value – you can decide the amounts in percentages. You can do anything you want to your share of the property – sell it or leave it to someone in your Will if you die. If you purchase as tenants in common, you own a specified portion of the property; the portions do not have to be equal. If one of you dies, you can leave your portion to a named person (or persons) in your will, and it will not pass automatically to the other property owners. It also means you can put your share into trust which can protect the property’s value from falling into unrelated hands, such as if you leave the property to a child, they get married and then are divorced. You are purchasing with a friend. There are three or four of you purchasing together – most lenders will not grant a joint mortgage to more than two people. The amount being paid via a deposit and mortgage or cash contributions are not equal – as tenants in common you would be able to protect each party’s investment. You are purchasing property as an investment or holiday home. What does leasehold mean when buying a house? When you purchase a leasehold property, you don’t own the land it stands on, but rent it from a freeholder, who charges ground rent. If your home is leasehold and you wish to make changes to it – such as new windows or an extension – you may need permission from the freeholder, as well as from the local authority. Buying a leasehold property takes longer and costs more in conveyancing fees as it is more complex. It is important to find out how long the lease is for, as it costs considerably more to extend a lease once it falls below 80 years and the value can fall dramatically as few lenders provide funds at low lease rates. In addition, check the terms to find out how much the ground rent and service / maintenance charges are, and what increases are planned as these may make selling the property difficult in the future. What to watch out for when buying a new build? Conveyancing for new builds is complicated as the site is completely new and will need examining from scratch. The developer’s legal company will draft a title and this will need to be examined for the first time. You may also be buying off-plan (before the property is built) so cannot visit the actual property and identify any potential problems. You may be pressurised into using the developer’s own legal company (you do not have to), who may not spot everything, and may be influenced by the developer, only doing the ‘legal minimum’ required to protect you. The time you are given to sell your own property and buy a new one if the development is brought forward or delayed. You may not be able to buy a property off plan if requiring a mortgage. Checks you can make once the property is built, before completion. Choosing your own solicitor, who has experience in new build conveyancing, means they will act in your best interests, rather than, where possible, for the developer. If the build is delayed, your mortgage offer may expire and you will have to seek a new one, which may have less favourable terms. Tip: Even though the property is brand new, you should still have an independent snagging survey, which identifies any issues so you can ask the developer to fix them before you move in/complete on the purchase. What the best day to move house? Any day other than Friday! Friday is the traditional day for moving house, so that people have the weekend to get organised before work begins again on Monday. For this reason, it is also the busiest day for lenders, legal and removal companies, so choosing a day earlier in the week may work in your favour and mean from a removals perspective you secure a better price and more time to move. In addition, if you hit problems on a Friday and find you cannot move in after all, you will have to wait at least until Monday, when your lender and legal company are back in the office, which prolongs the delay and potentially leaves you with higher storage, removal or hotel fees, let alone the stress and hassle. And if there are any problems with your new home, which need urgent attention – a leak or boiler failure, for instance – you will likely pay more for a tradesperson to come out and fix it over the weekend. Who do I need to inform once the purchase completes? Informing all the necessary people and organisations of your upcoming move is a huge task. As soon as you know you will be moving, it can help to keep a note of all the mail you receive from that day on, especially infrequent ones from catalogue companies and charities. It’s worth considering the Royal Mail’s redirection service just in case you miss anyone. This costs from £5.25 a month for a year’s service. Utility companies (gas, electricity, water): Ask them to come out and read the meters, or take photographs as evidence of meter readings. Healthcare providers, including doctor, hospital, dentist, etc.